Each of the 10 rooms is made in their unique style and color scheme, which allows easily qualify for individuality and unity of its kind. All rooms are equipped with all the most necessary: 24 hours service, daily cleaning, wireless access to Internet (Wi-Fi); LCD TV are connected to satellite television (400 channels), telephone, mini safe, electronic lock in the room, individual air-conditioning system, ventilation and heating, bath accessories (softbathrobes and slippers, hairdryer and perfume). If you want to find Luxury hotels in Kharkov, Luxury Hotel Mirax in Kharkov is the best choice. Jewel of style and luxury the first boutique – hotel in Kharkov is situated in the geographical city centre of the Kharkiv. «Mirax Boutique Hotel» – is the Kharkiv hotel with its special design and unique idea! Welcome to the little world of hospitality and great beauty! The hotel hasn`t identical rooms, each of them – is exclusive and unique! Here you will feel the special atmosphere of comfort, elegance and grace in combination with home comfort and personal attention to each guest. However, against the background of comfort «Mirax Boutique Hotel» provides everything for the business: free Wi-Fi in rooms and guest areas, transfer services – all for comfortable work. Comfort, hospitality and a genuine atmosphere of the Kharkov boutique hotel Mirax make your stay in Kharkov with a true pleasure! 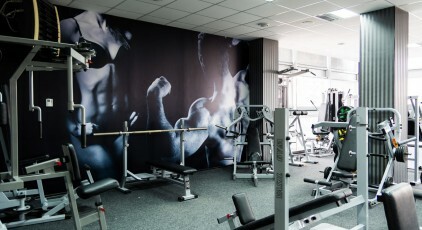 We are confident that our guests will feel its uniqueness and a special attention, there is no wonder, because the service of the hotel is one of the best in Kharkiv.